What it is : A wakeup call for tired eyes-this essential corrector brightens and covers discoloration under the eyes utilizing a pink- or peach-based formula to neutralize undereye darkness. Who it's for : Anyone who has very dark under eye circles or who wants extra coverage. Why it's different : Waterproof, sweat and humidity-resistant, this long-wearing formula boasts a uniquely creamy-smooth texture for perfectly smooth coverage that's easy to blend and won't crease. Infused with skin conditioners to protect the delicate undereye area and available in 18 skin-tone-correct correcting shades (so everyone gets a match). Explore the entire range of Concealer available on Nykaa. Shop more Bobbi Brown products here.You can browse through the complete world of Bobbi Brown Concealer. 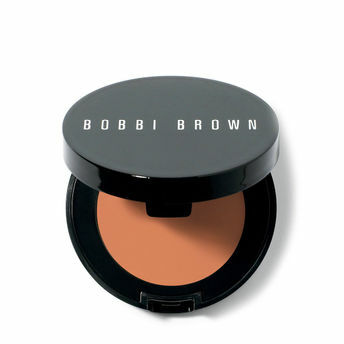 Alternatively, you can also find many more products from the Bobbi Brown Corrector range. Explore the entire range of Under Eye Concealer available on Nykaa. Shop more Bobbi Brown products here.You can browse through the complete world of Bobbi Brown Under Eye Concealer .Alternatively, you can also find many more products from the Bobbi Brown Corrector range.